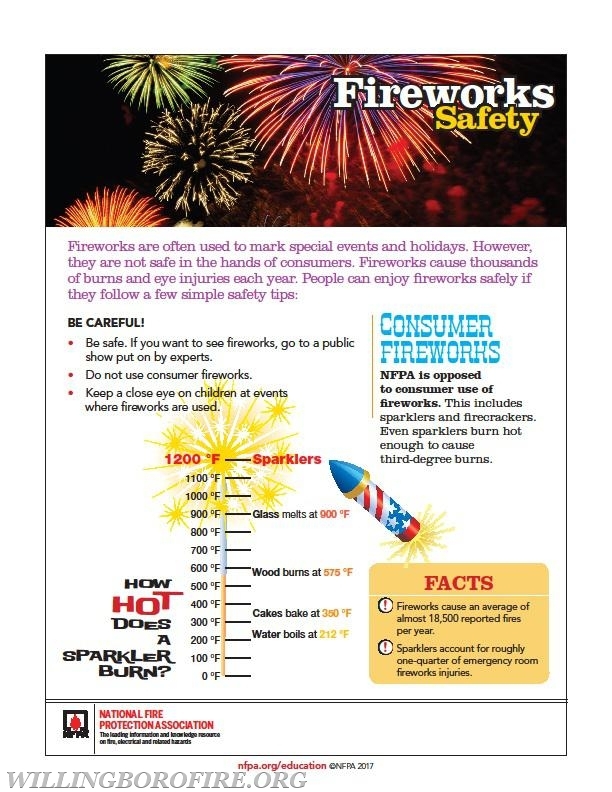 Consumer Fireworks - Are They Really Safe? By Firefighter Mark Robertson Sr.
Each year firefighters and emergency medical personnel, along with hospital emergency rooms, must deal with the devastating consequences of fireworks accidents. Fireworks lead to numerous injuries and fires every year. Along with causing injuries and fires, incidents involving fireworks can lead to criminal charges and civil penalties. * Fireworks start an average of 18,500 fires per year, including 1,300 structure fires, 300 vehicle fires, and 16,900 outside and other fires. These fires caused an average of three deaths, 40 civilian injuries, and an average of $43 million in direct property damage. * In 2017, U.S. hospital emergency rooms treated an estimated 12,900 people for fireworks related injuries; 54% of those injuries were to the extremities and 36% were to the head. Children younger than 15 years of age accounted for more than one-third (36%) of the estimated 2017 injuries. Even though many types of fireworks are now legal in New Jersey, it doesn't always mean that they are safe. Instead of risking injury, play it safe and take your family to a professionally conducted fireworks display in your area. Consumer fireworks cause damage to people and property every year.